We’re very excited to announce that we now have the new Cath Kidston Autumn/Winter 2017 collection! 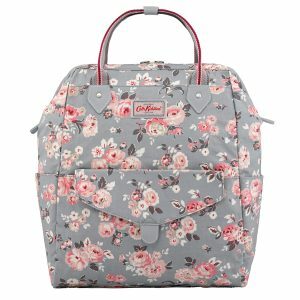 The new Cath Kidston range is available in store and online! 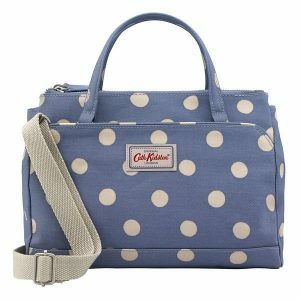 We have a vast array of Cath Kidston bags, accessories, homeware, stationery and kids items. 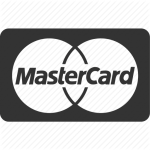 Please click here to see the collection. 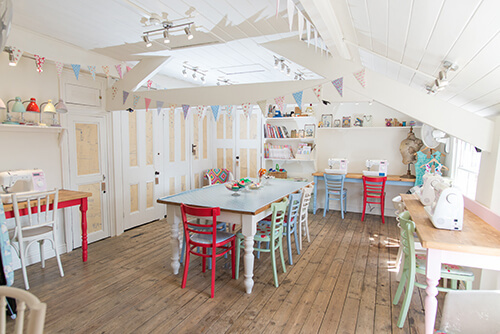 The new Cath Kidston range is so beautiful! We’re full to the brim with pretty florals, polka dots, dreamy hot air balloons and the very fun pets party print! The hot air balloon and pets party prints are already proving to be incredibly popular! Below are some of our favourite picks of this seasons beautiful collection! 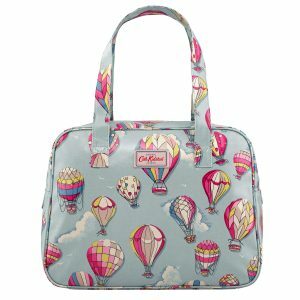 The Cath Kidston Hot Air Balloon print is simply delightful! A delicate pale blue background is filled with beautifully decorated hot air balloons. I think it might be one of our favourites! 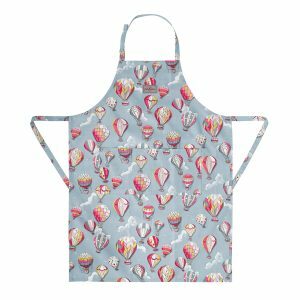 We have the Cath Kidston Hot Air Balloon print available in a large boxy bag, large foldaway tote, foldaway backpack, zip purse, set 2 tea towels, apron, passport holder, day socks, luggage tag and pocket mirror. 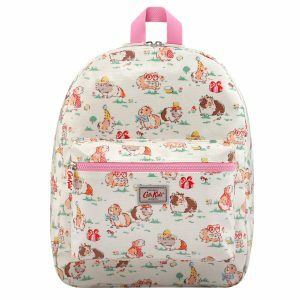 The Cath Kidston Pets Party range is already proving to be a BIG hit here at Bibelot! People seem not to be able to resist this fun print filled lots of cute, if not mischievous little guinea pigs! 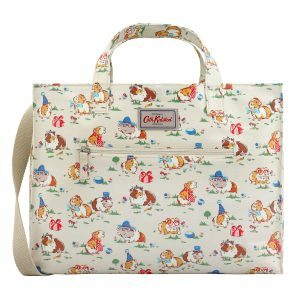 We have the Cath Kidston Pets Party print available in a lunch bag, zip purse, open carryall with strap, zipped travel purse, kids apron, timer, cotton t-shirt, long pj bottoms, foldaway shopper, double oven gloves, set of 2 tea towels, tin tea set, melamine beaker, shaped sticky notes, pencil sharpener, 6 pack of pencils, novelty note pad, 2 pack note pad, kids pocket purse, kids double zip pencil case and a padded rucksack. 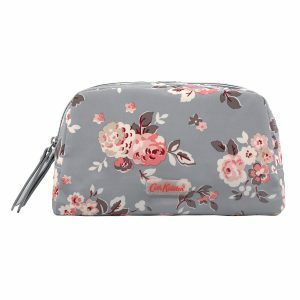 The Cath Kidston Wells Rose print is such a pretty floral! Fabulous pink blooms are set off a subtle but delightful pale blue/grey background giving it a lovely vintage feel. 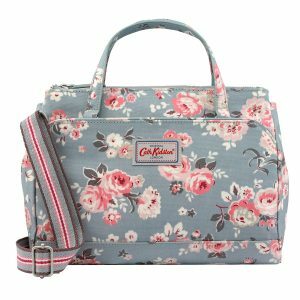 We have the Cath Kidston Wells Rose print available in an iPhone 7 case, iPhone 6 case, envelope z fold wallet, cotton bookbag, glasses case, zipped travel purse, poly double zip pouch, poly small pouch, tube pencil case, frame backpack and mini multi pocket handbag. 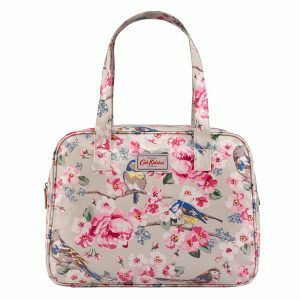 Cath Kidston designs some of the most beautiful bird prints and this seasons Meadowfield Birds certainly does not disappoint! Little birds sit atop dainty blossoms on a range of striking background colours. 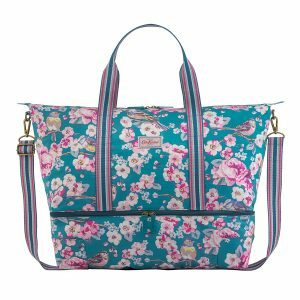 We have the Cath Kidston Meadowfield Birds available in a curve shoulder bag, cotton bookbag, continental zip wallet, folded zip wallet, woven scarf, foldaway shopper, double oven gloves, set of 2 tea towels, apron, foldaway double decker travel bag, foldaway overnight bag, tall zipped shopper and large boxy bag. 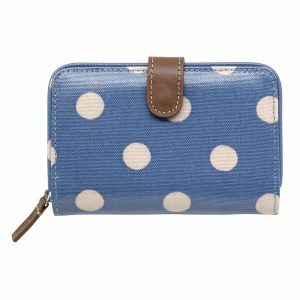 Cath Kidston is not only known for her beautiful florals but also for her fab spots! This seasons favourite Button Spot colour is this beautiful, soft blue called Periwinkle and striking black spot. They’re great colours to team up with a whole range of outfits! 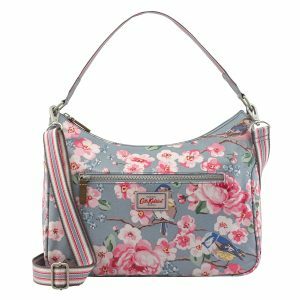 We have the Cath Kidston periwinkle and black Button Spot available in a pocket cross body bag, folded zip wallet, frame backpack and a mini multi pocket handbag. 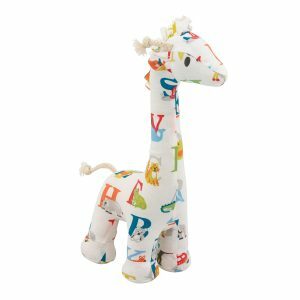 The Cath Kidston Animal Alphabet print is a fun, versatile print as it is perfect for a girl or boy! This range makes ideal gifts to take to a baby shower (especially when the gender is going to be a surprise!) or when you go to greet a new little one. 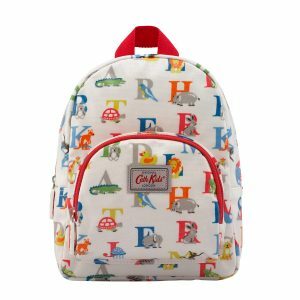 We have the Cath Kidston Animal Alphabet available in a feeding pouch, melamine food tray, set of 3 snack boxes, melamine beaker, melamine bowl, melamine nursery set, mini rucksack, baby giraffe toy, bib, burping cloth and bootie set, bib with food catcher, baby teddy, hat and bootie gift set and baby pram blanket. 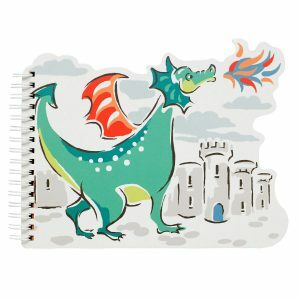 The Cath Kidston Dragon and Castles is such a fun and colourful print! Capturing children’s imagination (especially little boys) this print is sure to be a winner! 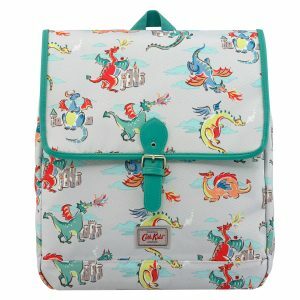 We have the Cath Kidston Dragon and Castles print available in a lunch bag, kids backpack, novelty note pad, kids wallet and kids boxy backpack. The Cath Kidston Little Fairies is such a sweet little design! Filled with pretty little flowers and magical fairies this print has already proved to be very popular with little girls. 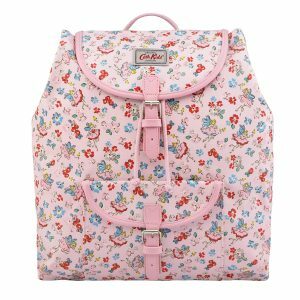 We have the Cath Kidston Little Fairies available in a kids satchel backpack, kids pencil case and kids medium backpack. We have lots more beautiful Cath Kidston prints and products in store and here on our website but we hope we’ve given you a little taster of just how good this seasons collection is! What’s your favourite? Previous article	Beautiful Danica Studio Range Arrives at Bibelot!